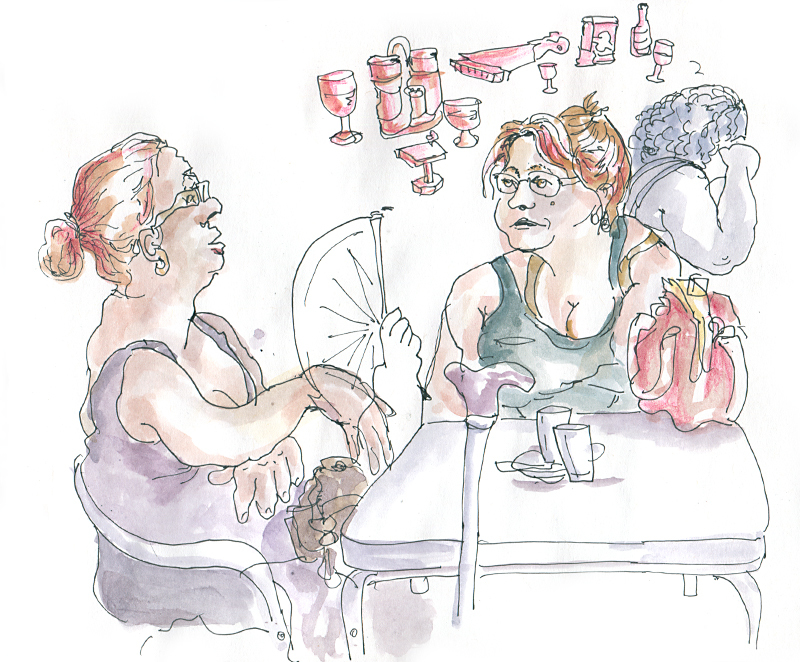 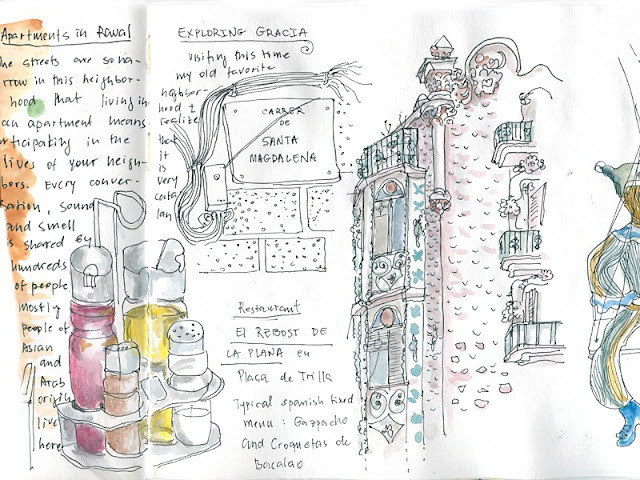 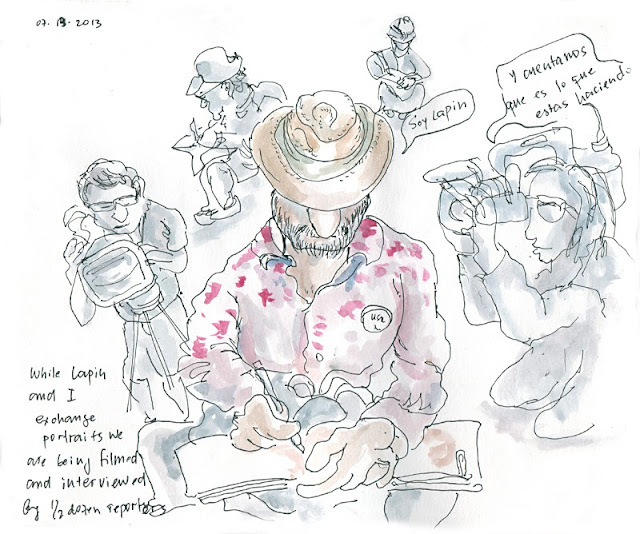 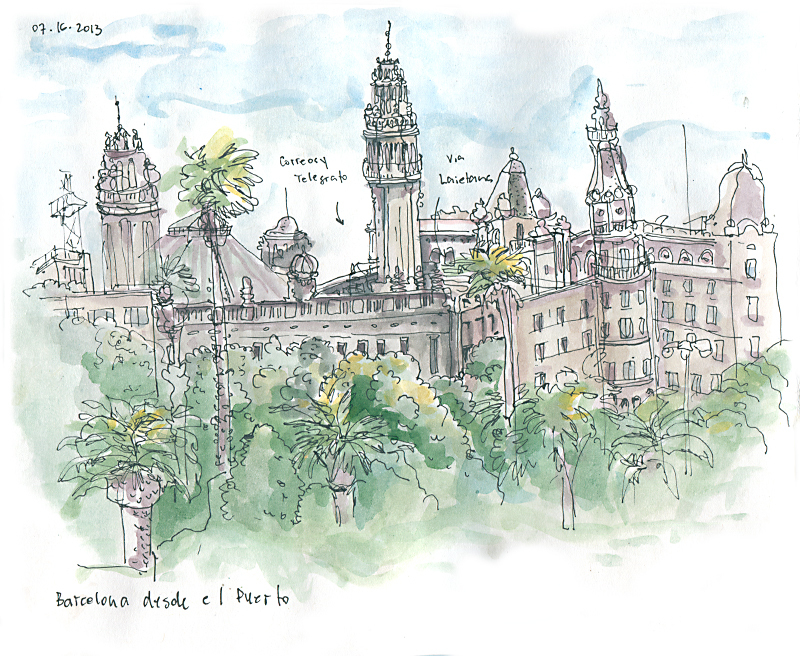 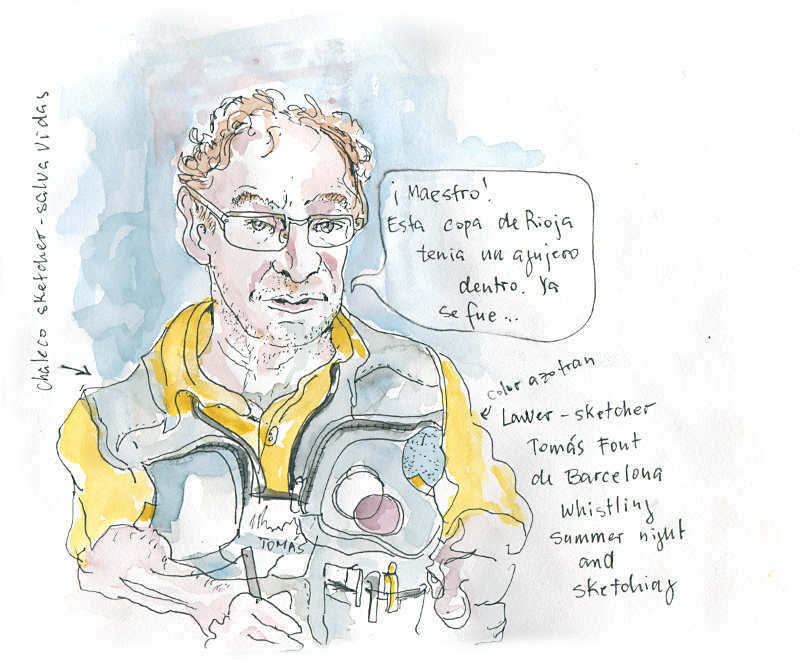 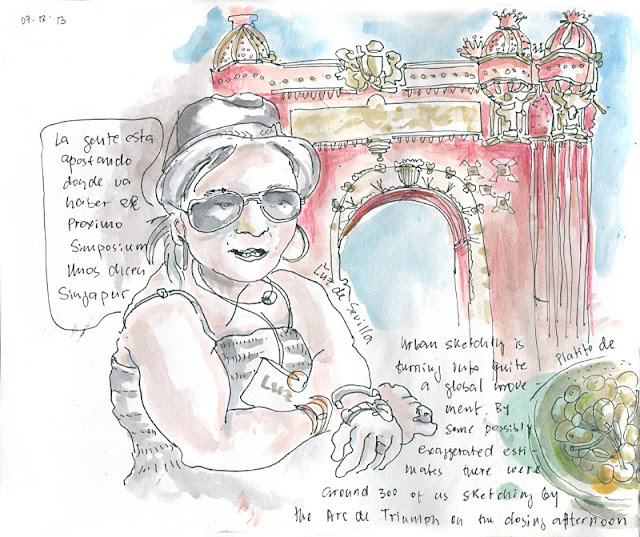 Here is one of the sweet and endlessly hilarious characters I met at the recent Urban Sketchers Symposium in Barcelona. Tomas Font, a lawyer by day, was wearing a nylon vest with giant pockets full of sketching gear. 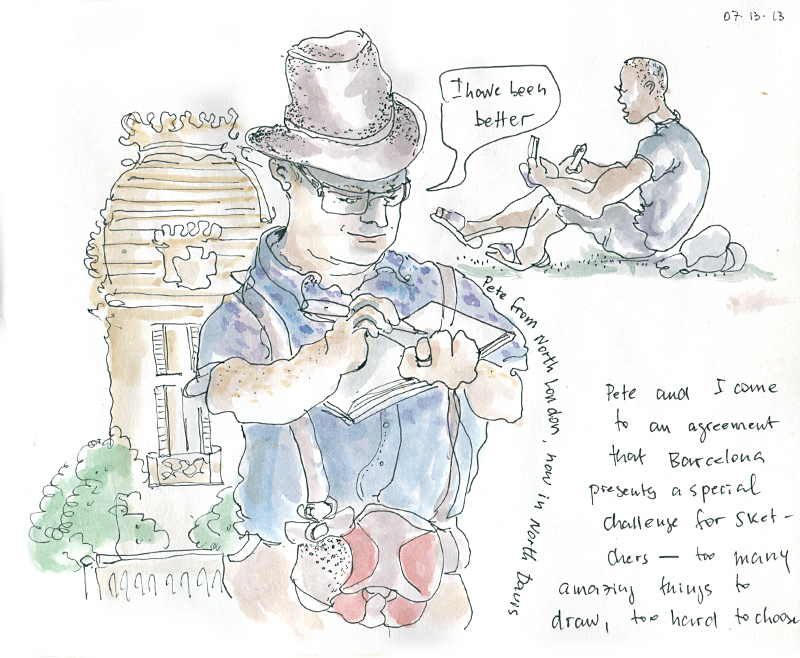 A true act of daring determination despite the heat and humidity of Barcelona in July.